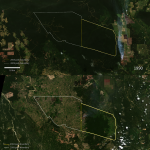 This month, 212 Landsat scenes were ingested to help create maps. 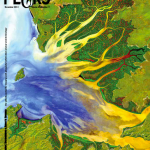 The November issue of PE&RS featured a two-and-a-half page interview with the Landsat Legacy team in its Professional Insight section. Whether it’s cranberry relish, cranberry fluff, cranberry sauce, cranberry salad, or cranberry salsa you’ll be enjoying today, it’s fun to see where cranberries grow. 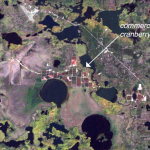 A series of commercial cranberry beds can be seen on this Oct. 6, 1999 Landsat 7 image. This afternoon at the Pecora 19 conference in Denver, Colorado, the U.S. Geological Survey and NASA presented a group Pecora Award to The Landsat 8 Team. 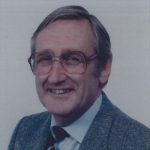 Don Gray, the founder of the Australian Landsat Station, passed away on Tuesday, November 4, 2014. 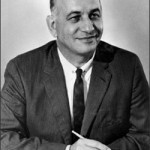 It was through his vision and leadership that the Australian Government invested in the Australian Landsat Station in 1979. 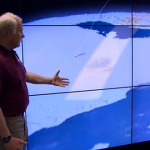 Xploration Outer Space aired an episode on satellites today. Explorer Stepan Krasheninnikov first pointed it out in 1755: “Perhaps there is no other region in the world where so many volcanoes and hot springs are to be found in so small a space as here on Kamchatka.” There may not be another land mass on Earth where so many volcanoes and hot springs are crammed into so little space. 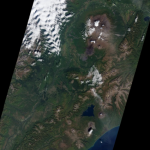 Situated along the Pacific Coast of Russia, the Kamchatka Peninsula is part of the Ring of Fire, one of the most geologically active zones on the planet. More than 300 volcanoes dot the peninsula, including 29 active ones. And the volcanoes are as diverse–in shape, size, geologic formations, and eruptive styles–as they are numerous. Established in 2004, Tesso Nilo National Park in Sumatra encompasses an area of rich plant diversity and provides habitat for Sumatran elephants and tigers. 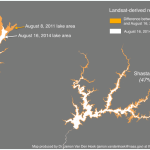 The Landsat satellite series has proven to be a perfect match to the needs of modern irrigated agriculture and water resources management. The 30 m spatial resolution permits the viewing of field scale characteristics of water consumption, which is essential for managing water and water rights, which are often administrated at the field scale. 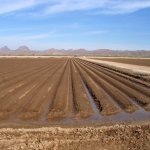 The U.S. Geological Survey’s Center for Integrated Data Analytics (CIDA) has created an open source visual description of California’s ongoing drought—one of the most severe droughts on record. 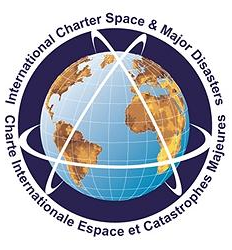 Landsat data were among some of the many open source data resources CIDA tapped for this presentation. 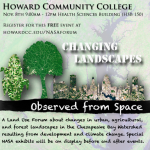 This Saturday a NASA Climate Change Forum is being held at Howard Community College in Maryland. The forum will focus on urban, agricultural, and forest changes in the Chesapeake Bay watershed that result from development and climate change. The forum takes place tomorrow from from 9 a.m. to noon in the HCC’s Health Sciences Building.